ValleyArts, Inc. mission is “Community Through Creativity,” with the priority of building community and economic opportunity for the people living and working in the Valley Arts District through creative means. The HUUB is a force that brings people together so that they can use their gifts to advance peace, economic justice, respect, and educational attainment. The HUUB is an outreach, community service, and advocacy organization and space at the First Unitarian Universalist Church of Essex County, in Orange, NJ. University of Orange empowers the people of Orange to teach and learn from each other how to make Orange THE urban village of the 21st Century, a just and beautiful city. Through classes, workshops, trips to exemplary urban venues, community activities, film series and an annual Placemaking Conference, University of Orange increases understanding, identifies issues and advocates for improvements and develops leadership to move Orange forward. Arts Unbound is dedicated to the artistic achievement of youth, adults and senior citizens with disabilities. Through professional classes in the visual arts and exhibitions in their gallery and throughout New Jersey, they unleash the artistic expression of persons living with developmental disabilities, mental illness and physical challenges. 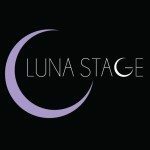 Luna Stage creates theater that entertains while provoking thought and encouraging dialogue. They provide opportunities for creating works of theater with a diverse group of community members and professionals of all ages. Rising Tide Capital offers programs to low-income entrepreneurs and traditionally marginalized populations to grow successful businesses. Rising Tide Capital provides high-quality business education through the Community Business Academy, year-round guidance and consulting. Not Orange Inc. is a non-profit organization that formed June 8th of 2012 and has been active as an anti-violence group in the Orange community. Their focus is to end the gun violence amongst our youth and young adult population. We have marched in memory of our lost in all wards of our city. Throughout the summer when our students are on school break we throw monthly community cookouts which provide free food, fun, and fellowship. We also host teen parties, volunteer with Orange city hall community events, walk for Breast Cancer, and much more. On September 3rd 2013 our organization received the Exemplary Community Service Award from the Orange Board of Education Forum. Volunteering and collaborating with various organizations is very important to us. Through innovative, comprehensive service programs, recreational and educational activities, we challenge and encourage our youth to strive for excellence, become constructive contributors, and emerge as life-long leaders. To this end, we are committed to enhancing public safety by reducing violence, providing positive opportunities for personal growth and reclaiming our public spaces. In everything we do, we want to create one unified Orange community. New Jersey Community Capital offers programs to low-income entrepreneurs and traditionally marginalized populations to grow successful businesses.